Computer Museum news about computers, microcomputers, hobbyist, robotics, computing, Bugbooks, Computers in the Bugbook Historical Computer Museum collection, & amateur radio staion N4USA . My wife Gaynell and I visited Lonnie Mimms at his Computer Museum of America in Roswell, Georgia during the weekend of January 15/16 2016. 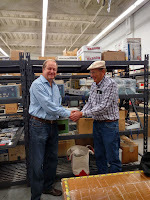 Lonnie and I made the final arrangements for the transfer of my entire vintage computer collection to his museum. We did take a few computers with us in the car and one was the John Burch Apple-1. I purchased this computer from John Burch about 22 years ago. Mr. Burch told me he had purchased his Apple-1 computer from Steve Wozniak and Steve Jobs out of the trunk of their car at a computer meeting. I had no reason to doubt this story, however in later years when I tried to contact him for more details about how he purchased the computer he had passed away. This is a good lesson "Do it NOW" unfortunately these first time vintage computer owners are getting old and passing on. This is a good reason for me to pass on my collection while I can still give information about the collection and how I acquired all these vintage machines. Video of delivery to Lonnie Mimms - The John Burch Apple-1 "CLICK"
Video of all the computers delivered to the Computer Museum of America during first visit January 16, 2016. "CLICK"
If you have not visited the Computer Museum of America and the Apple Popup museum here is a very good reason to visit Roswell, Georgia. Vintage Computer Festival Southeast April 2/3, 2016. Lonnie gave Gaynell and I a wonderful and educational tour of his Apple Popup museum. This was our first visit and the displays are very impressive and informative. Steve Wozniak (Woz) had the spark with his Apple-1 computer to excite Steve Jobs to start the Apple Company with Woz and Ron Wayne. Very few people know for the first few days of the Apple partnership Ron Wayne owned 10 % of the Apple partnership. Ron dropped out after the first week of the partnership. The story of Steve Jobs is most interesting and the Popup museum covers his involvement developing the Apple company with many colorful and interesting displays. Lonnie displays many good inspirational quotes and messages in the museum. David's wife Gaynell Larsen comments about first visit to Computer Museum of America - Video "CLICK"
Our visit with Lonnie Mimms and his wife Karin in Roswell, Georgia was just wonderful. 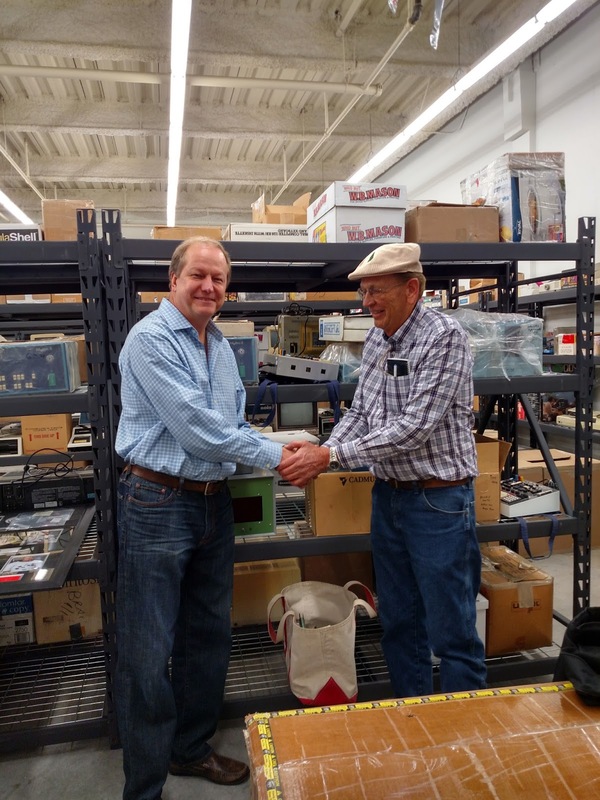 I am looking forward to working with Lonnie as a board member of his Computer Museum of America. I look forward to your comments and will respond. Our Bugbook Historical Computer Collection is now located in the "Computer Museum of America"
Copyright 2012-2013 Bugbook Computer Museum. Picture Window theme. Powered by Blogger.